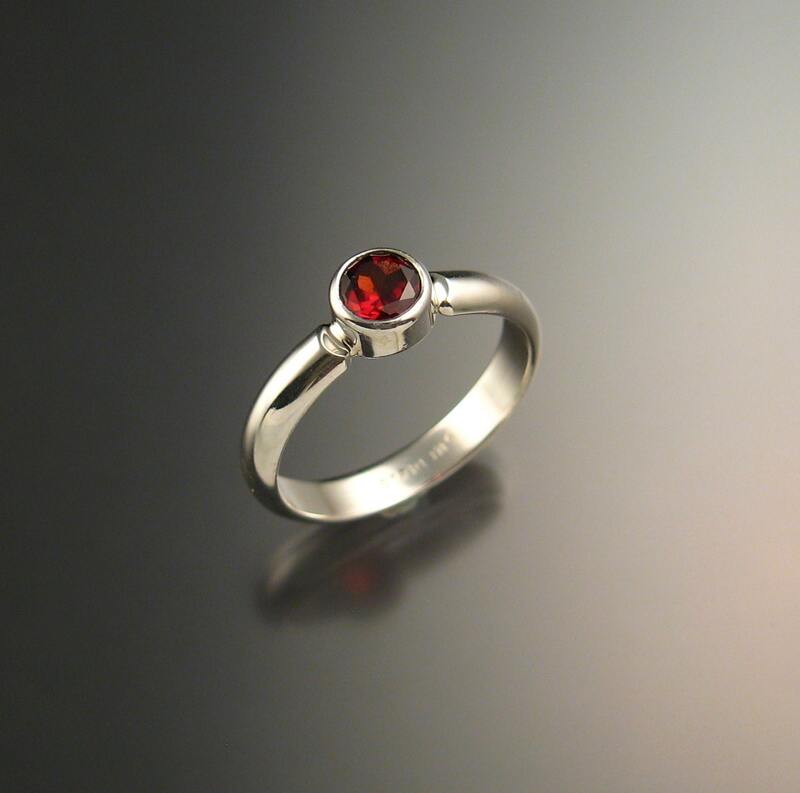 4mm round Garnet is bezel-set with 3mm wide by 1.5mm thick half round band. 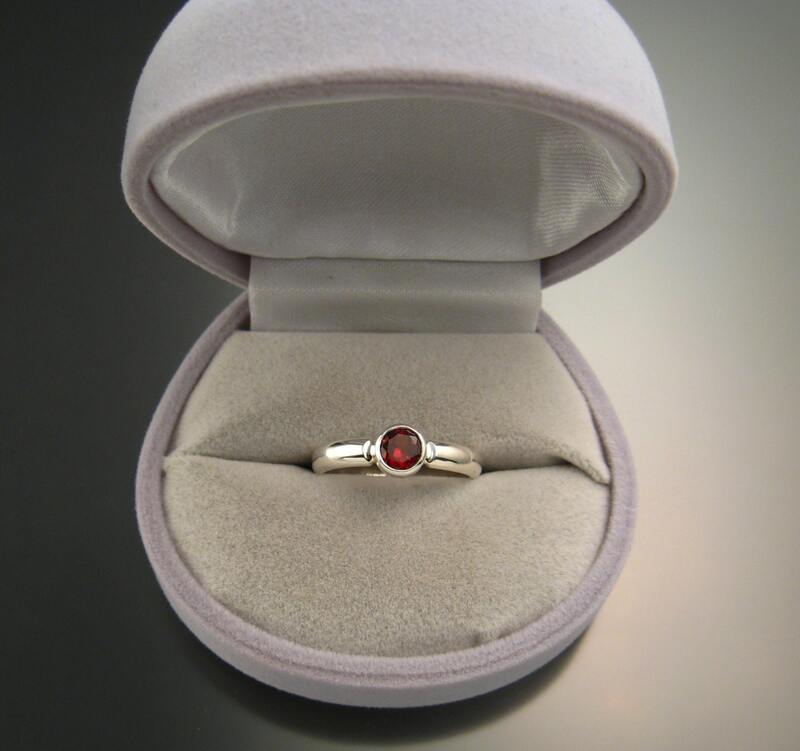 They are a nice red color and very clean well cut stones. 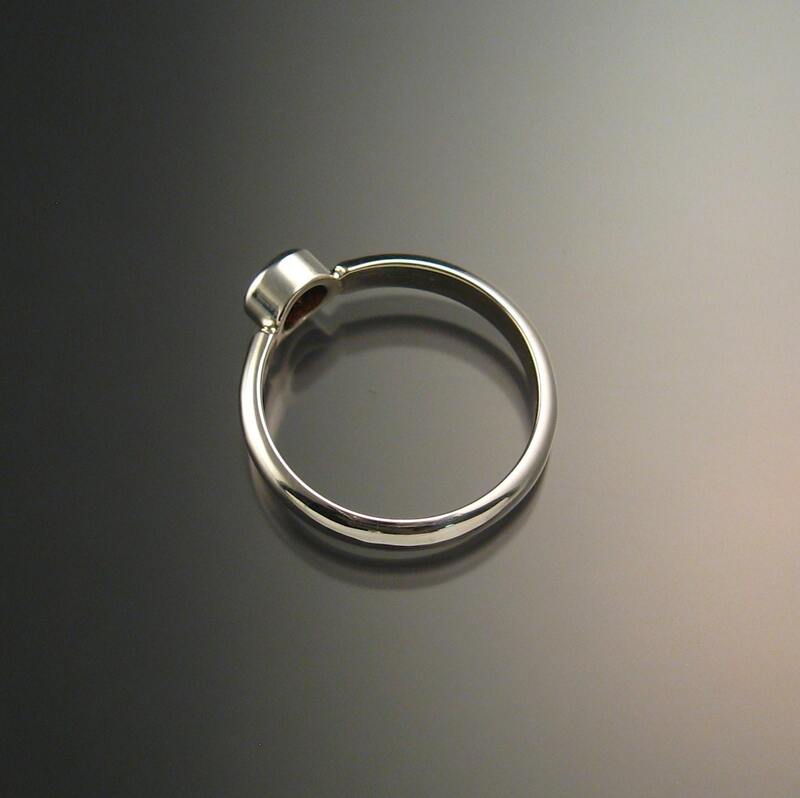 The ring fits well and is very nicely crafted. 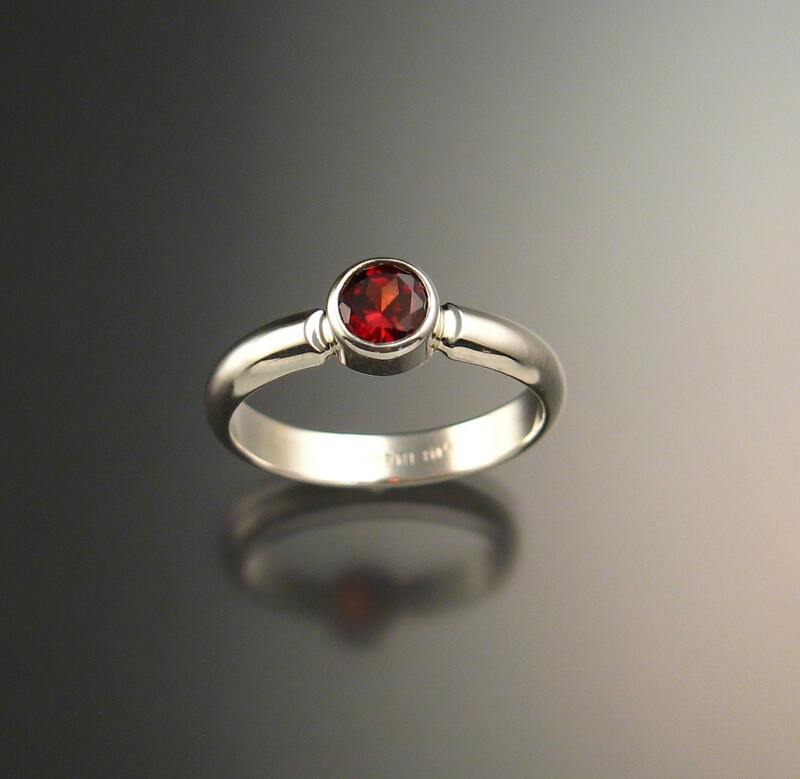 I bought it as a stand-in for my engagement ring, as I have a physical job where I'm rough on my hands. Simple design, bezel setting and low profile are perfect for this. It looks simple and elegant. Great quality, especially for the price. If this one eventually succumbs to the wear and tear you're not really supposed to put a ring through, I would come back for a replacement. Wow, this has exceeded my expectations! 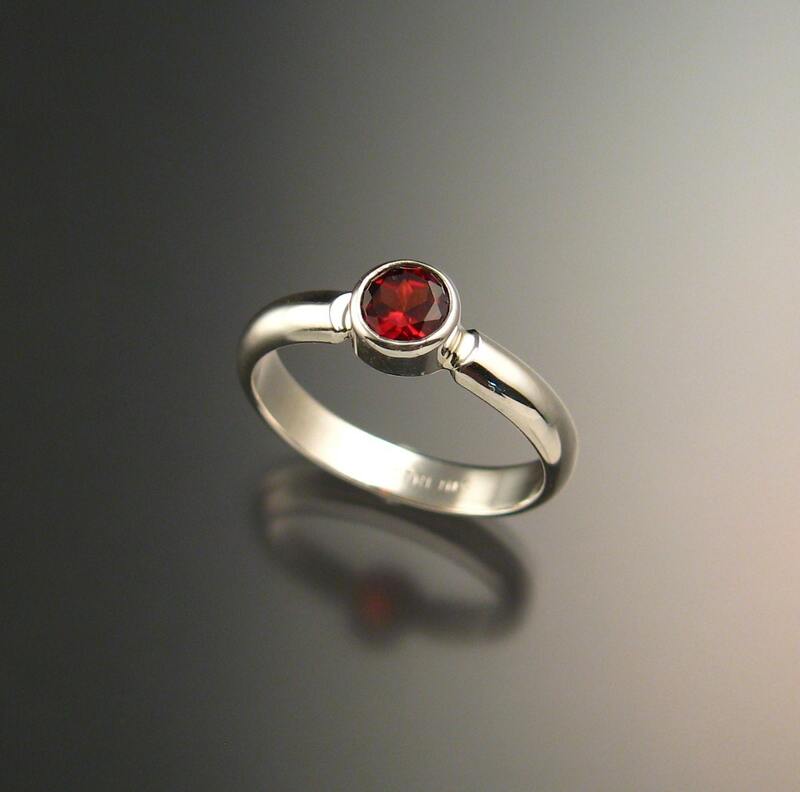 What a beautiful ring, and the quality is fantastic! I am grateful to discover this jeweler.